Baby Z is turning 2 tomorrow! Eeek! After getting used to the whole shenanigans that come with mothering a tiny human in the first year, the second year has definitely been more fun than tears, more enjoyable than panicked. That’s not to say that I am an expert on all things parenting (Boy, am I far from THAT! ), and there have been plenty of peaks and troughs through the journey thus far, but I am definitely adapting and learning from my mistakes as the days of motherhood roll by. 1) The smell just gets worse. Sorry to start off with quite a brutal one, but hey this is honest parenting right here. As your toddler explores a wider range of food, the spectrum of smells that whiff out of their nappies also get smellier. 2) They reserve their widest smiles for you. The look of glee and unconditional love in their eyes when they give you a goofy grin is and will always be only for you. They just don’t pass around that kind of gold to strangers on the street. 3) Tantrums can be caused by anything, and I really do mean ANYTHING. Switched off the light? Tantrum. Wearing slippers? Tantrum. Removed said slippers? Tantrum. Coughed? Tantrum. Breathed? Tantrum. You get the idea. Thankfully, they have the cute genes in them, so once they give you a hug, it is all forgotten about. 4) Their attention span is minute. Having to constantly find different activities to wear them out before bed time is officially your mission in life now. 5) You keep wishing for them to get older. Of course, you would love to see you little dumpling grow into a little independent being who can take off his/her own shoes, yet you also spend nap times cooing over their newborn photos on your camera roll. 7) You find pleasure in the simplest of things. Like when it is your husband’s turn to change your toddler’s nappy. Oh the JOY! 8) Your routine is in sync with theirs. As your little one’s routine changes, so does yours. Yes, this means only going down for a family splash session in the swimming pool once his nap time is done, or booking your hair cut appointment during a time you know they will be most content. 9) Your vocabulary changes. Now that Baby Z is talking, be it gibberish half the time, my vocabulary has changed to suit his, or words have changed so that he may be able to pronounce them more easily. Also being mindful of what we speak around him is quite the necessity. 10) The love grows with time. 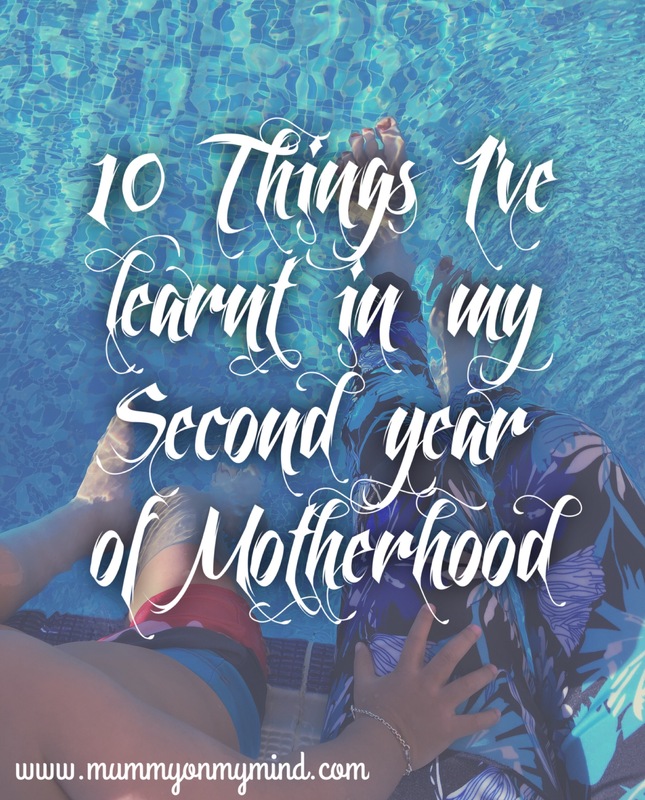 As if you didn’t love him to the moon and back already in your first year of motherhood, the second year has brought along a trunk full of even more flaming, fierce, kind, protective and endearing love for your little one. Who knows what more I will learn when Baby Z turns THREE! Eeek! Have I missed out on anything? What has motherhood taught you? I would love to hear from you so feel free to share your thoughts in the comments section below! Thank you! Aw thank you so much… They really do grow up too fast!! Thank you Faiza, I’m glad it was relatable! Motherhood is a real rollercoaster of a journey!